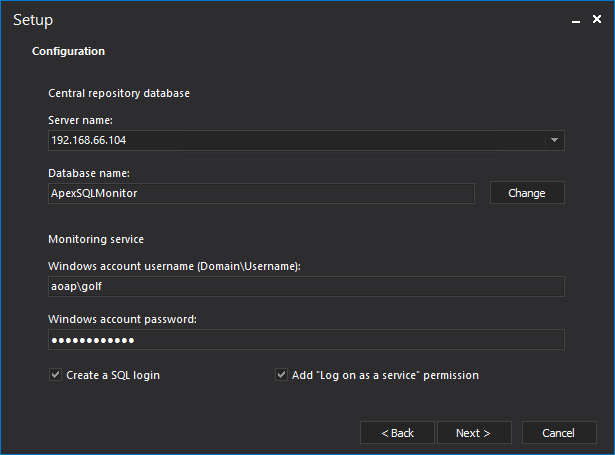 This article describes the steps required to install the central repository database to be part of AlwaysOn Availability Group. 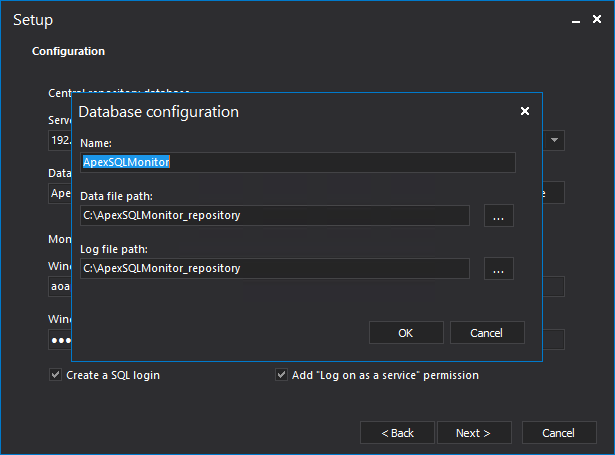 How to install ApexSQL Monitor central repository database in AlwaysOn Availability Group? 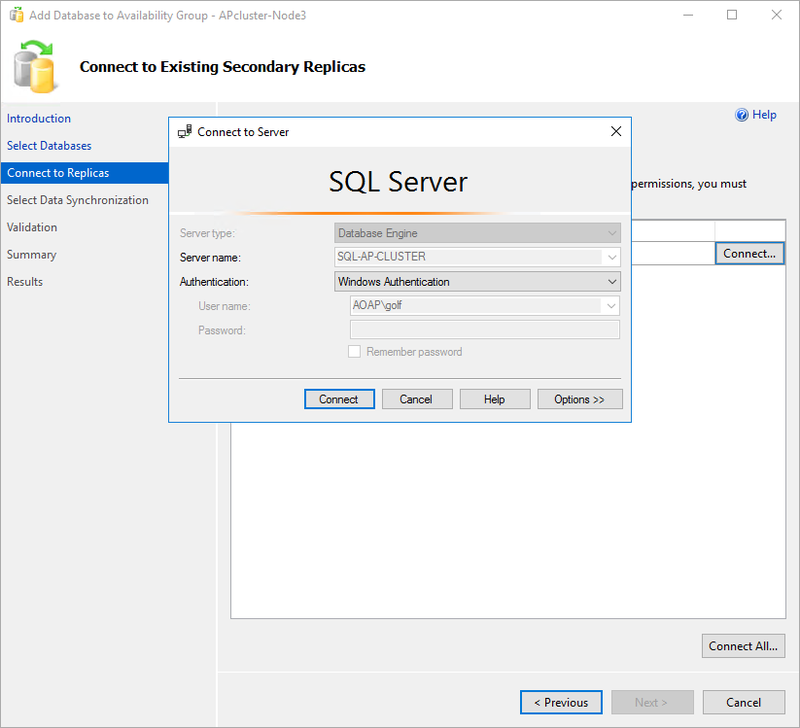 ApexSQL Monitor collects and stores important performance data necessary for proper tuning of SQL Server performance as well as to maintain the SQL Server fitness at the highest level. Saying that keeping the performance monitoring blackout time at the lowest possible level ensures the availability of all necessary performance data with acceptable performance data lost that should not affect performance analysis anyhow. 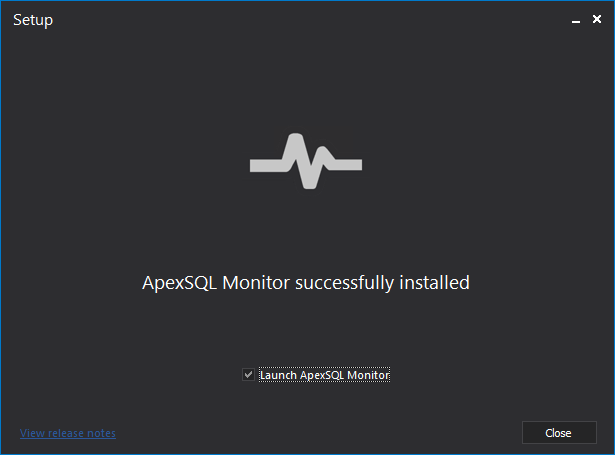 Also, monitoring tens or hundreds of SQL Server instances requires ApexSQL Monitor to be tuned carefully and precisely according to the monitored SQL Servers state and importance, in order to get the best possible performance monitoring results, and at the same time to minimize the central repository database storage requirements. 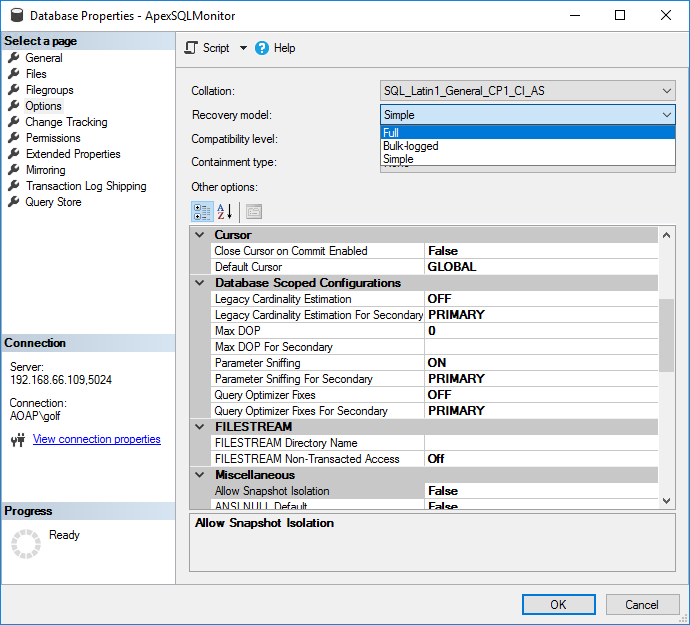 All those monitoring configurations are stored in the central repository database, where any loss of the central repository database will cause not only the disastrous collected performance data loss but also the loss of painstakingly established monitoring configurations. 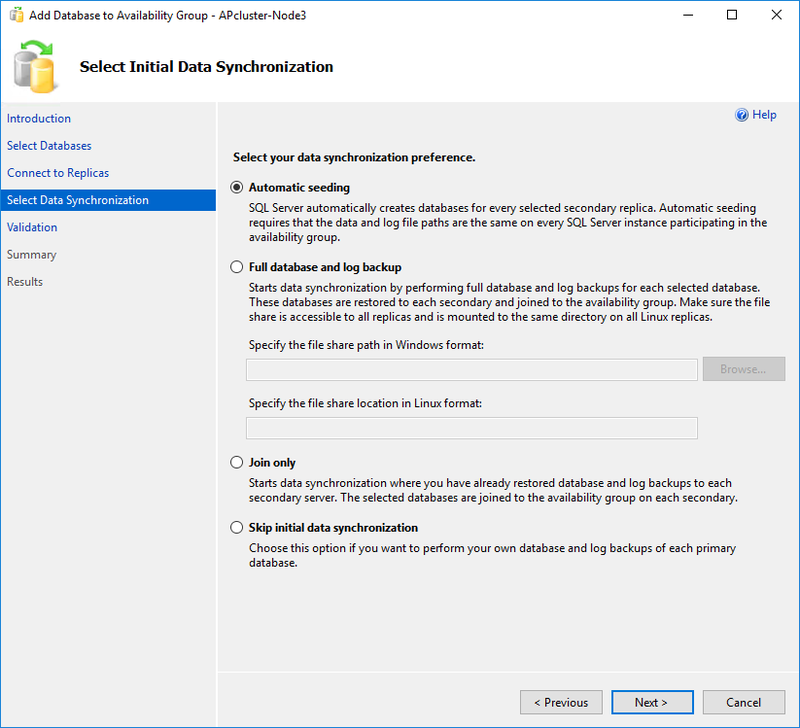 So whenever larger number SQL Server instances have to be monitored, and especially where it is necessary to establish a demanding and precise configuration of the monitoring process, hosting the central repository database as part of AlwaysOn Availability Group is worth of considering. 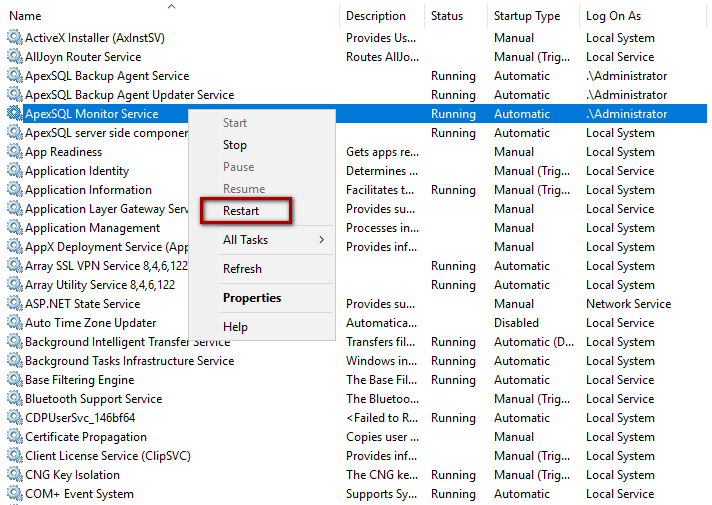 Can I install the application on a computer that is not a member of the same domain with AlwaysOn AG? 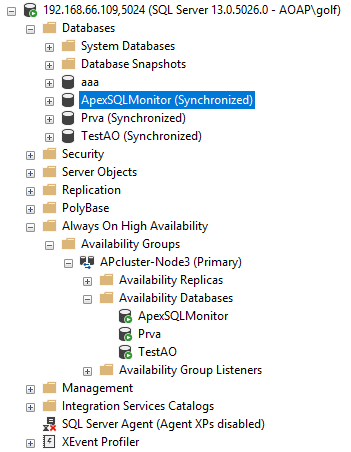 How to install the ApexSQL Monitor central repository database in an AlwaysOn Availability Group? 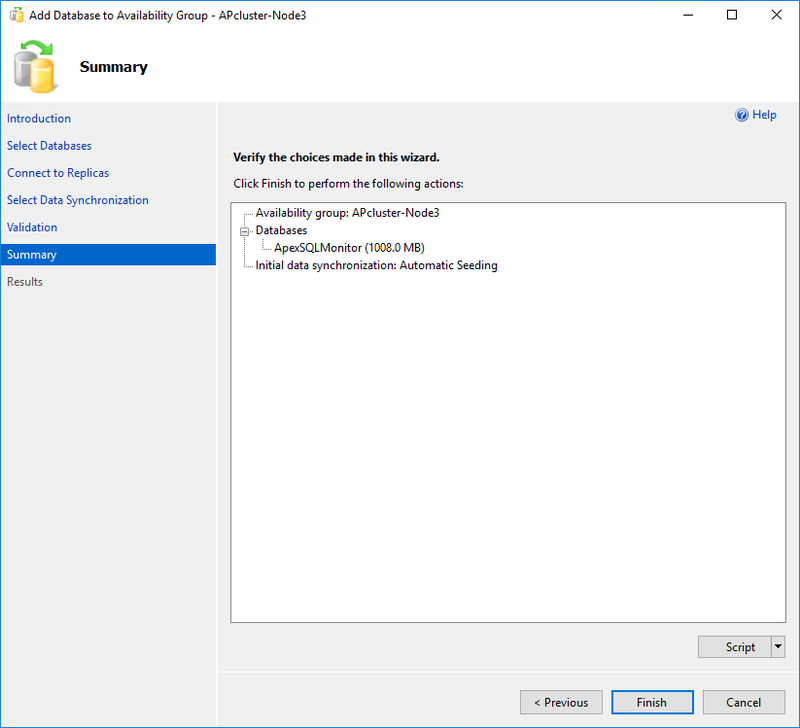 Populate the Data file path and Log file path field with a path on the primary replica machine file system where the repository database data files should be stored. 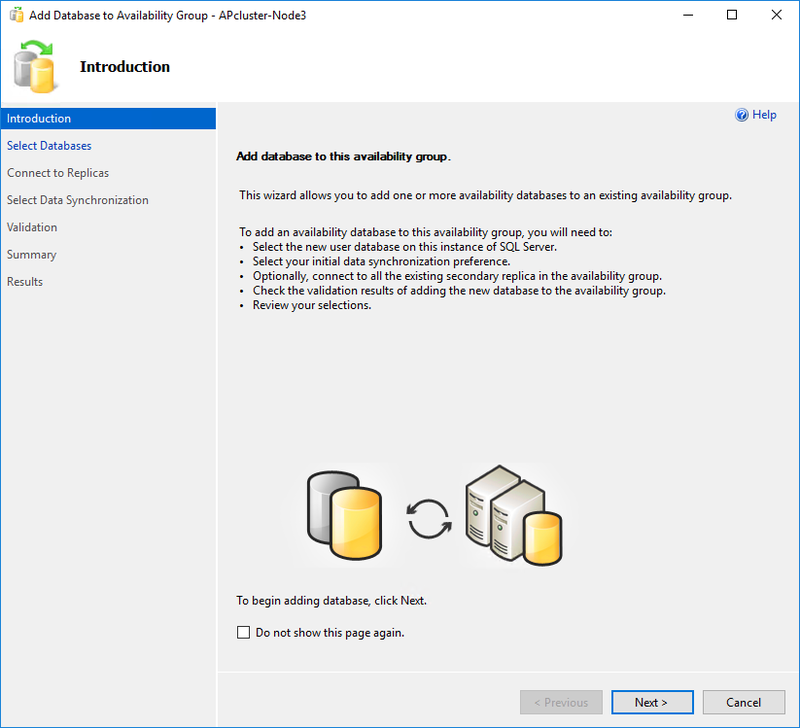 Having a database in full recovery model and after that performing the full database back up are necessary prerequisites for adding a database in AlwaysOn AG. 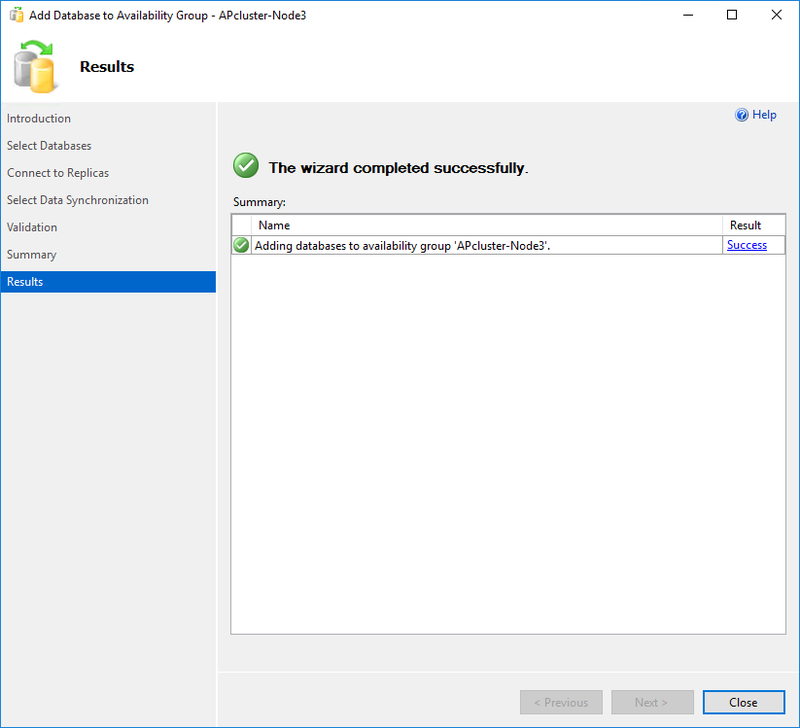 The Add Database to Availability Group wizard Introduction step appears. 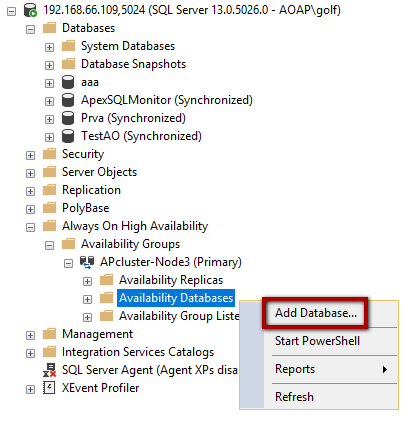 Can I migrate the existing central repository database to be hosted by an AlwaysOn Availability Group? Yes. 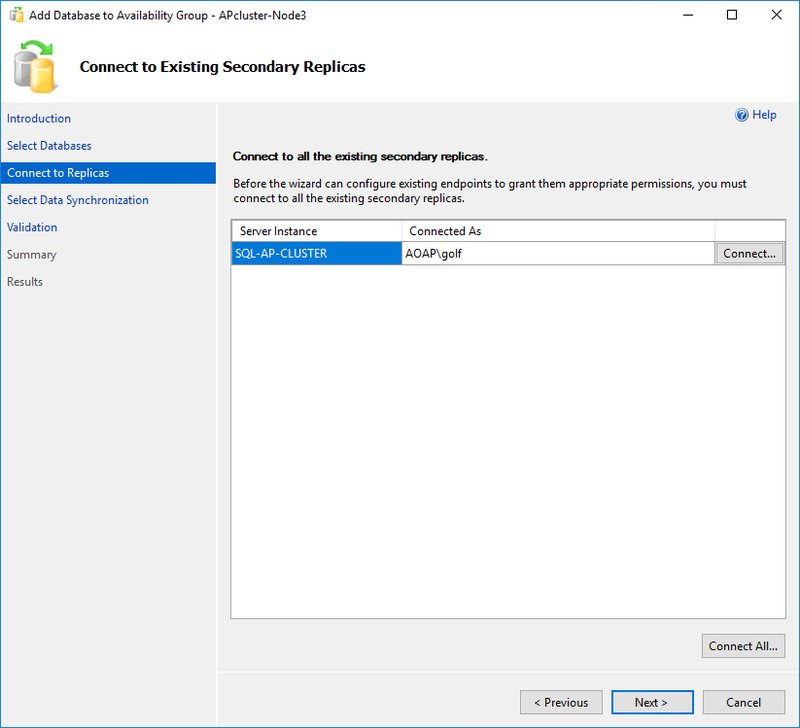 The only difference is that instead of the Install the central repository database step described in this article, the existing repository database should be migrated to the AlwaysOn Availability group primary replica by the user. 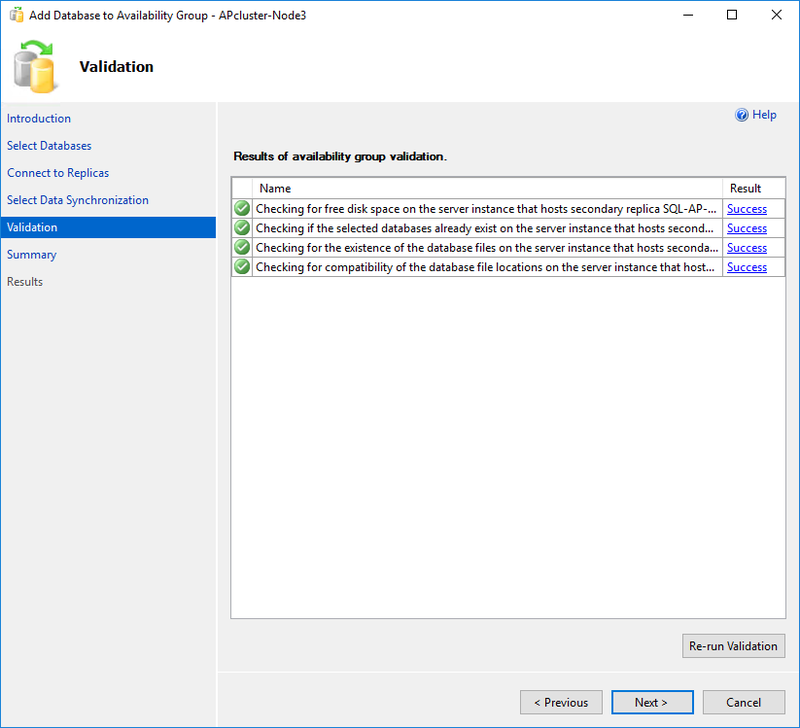 Migrating method is not relevant in this case.